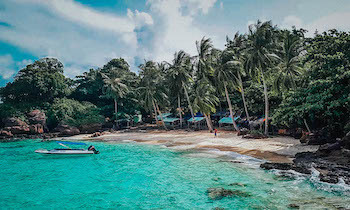 Phu Quoc Island has lots of cultural sites which are dotted around the island as well as Duong Dong town and are worthy to visit. There are various temples and shrines, which are a clear sign of religion practicing of the Vietnamese people. 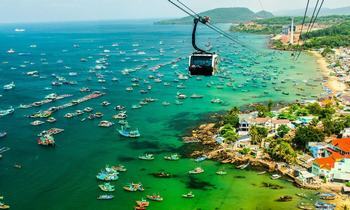 One of them is Cau temple which is one of the most visited sites in Phu Quoc. Cau temple, which was built in the 17th century, owns a unique location of a majestic rock edge overlooking the ocean where the great waves lap, creating a spectacular view. The rooftop terrace is the spot where visitors can contemplate numerous large rock blocks in monstrous shapes that can make the human imagination run wild. 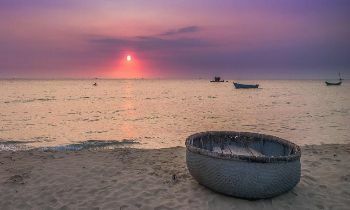 In Phu Quoc, many people used to make a living by fishing. While going out to sea, many fishermen encountered raging waves and never returned. 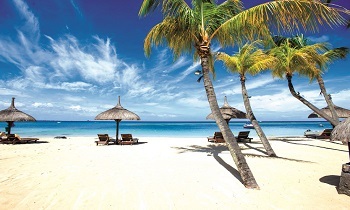 One day, the residential saw a stone slab emerging on the white sand shore. It was regarded as a strange omen. 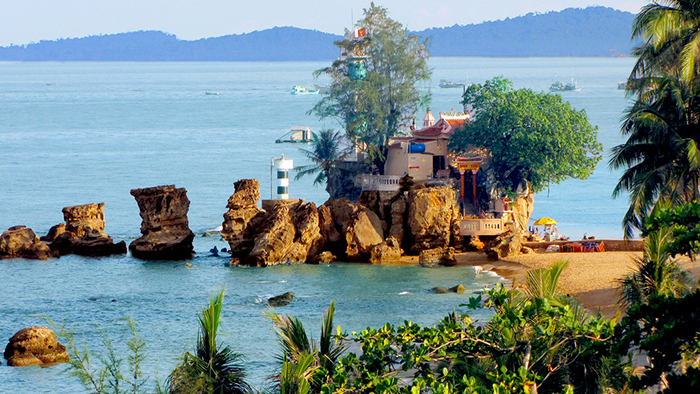 Later, Duong Dong community constructed a temple named Cau on that stone slab to worship and pray to the God of the Sea for protecting them from danger when heading to the sea. Cau has been considered as the great God of the sea and has been able to help and save fishermen in case they are in danger. Besides, some people assume that Cau was a mandarin under a certain dynasty and he deserved to be honored. Therefore, the locals set up the temple to commemorate him. 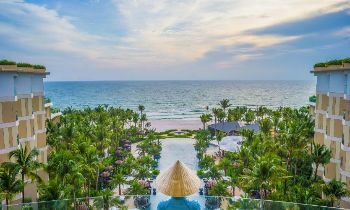 Cau temple is dedicated to the goddess of the sea (Thien Hau in Vietnamese) who is a Chinese-origin Lord and is worshipped in all of the coastal regions in East Asia in the different scales. 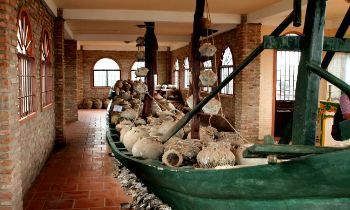 It is believed that Thien Hau was born during the rule of the Song reign on Meizhou Island, Fujian province, China with the original name of Lin Moniang. When growing up, she became a brilliant swimmer and people often saw her at the shore, wearing a bright red dress and guiding boats to safety, even under the most severe weather conditions. She passed away in 987. After her death, she was remembered as a smart lady in a red dress, who would always roam the sea and support troubled ships to a safe shelter. Cau temple impresses tourists not only by the mysterious legends but also by its unique beauty. 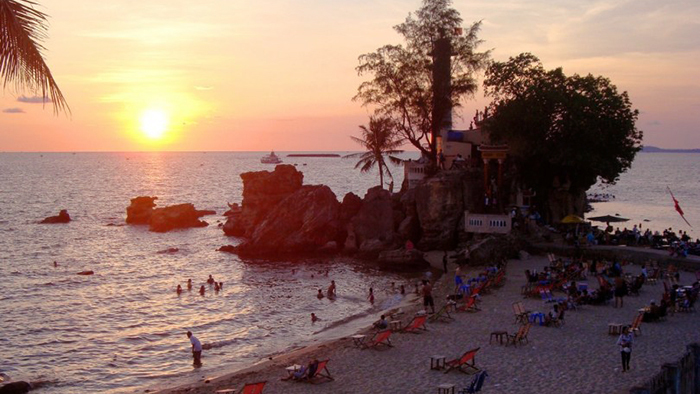 Going along Duong Dong beach, travelers will climb up stone steps to reach Cau temple and enjoy the stunning sea view. The inner part of the temple is a masterpiece of ancient sophisticated and intricate architecture. The front zone looks over the wide sea. 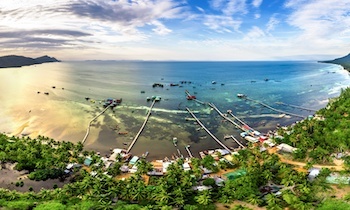 The left is a boundless soft white sandy beach, dotted with lines of oblique coconuts while the right is the harbor of densely moored boats. 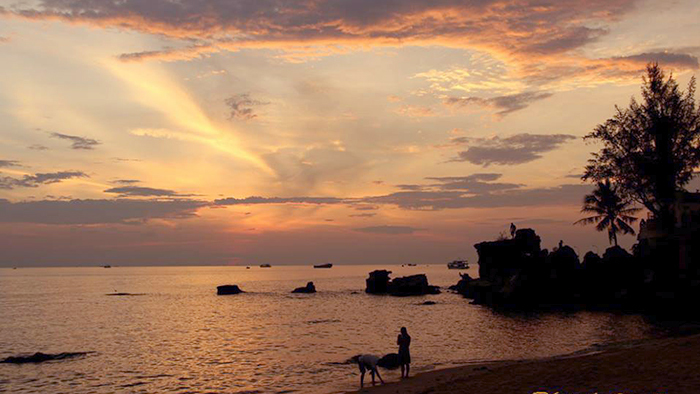 Especially, from the position of the stone slab, visitors can sightsee the sunset on Duong Dong beach – a wonderful painting that can't be mostly seen from beaches in the land when the dark yellow color of the sunlight on the late daytime embellishes silver high waves. 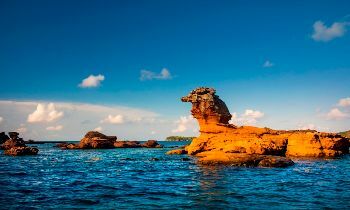 After reaching the foot of the stone edge, visitors will walk 29 steps to set foot on the temple that worships the deity who always controls the sea and guide fishermen and their vessels out of storms. That’s the reason why fishermen frequently come here to pray for a peaceful and successful trip. 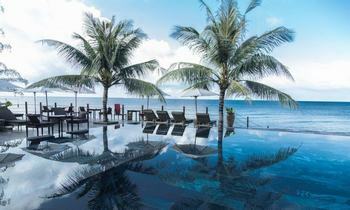 From Cau temple, travelers can close their eyes, listen to the waves roaring or contemplate a beautiful sparkling sky on the water surface. 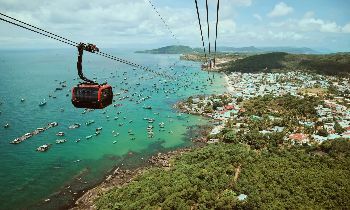 Looking to the right side, visitors can watch the vibrant Duong Dong Port where hundreds of vessels are mooring or a tranquil beach with yellow smooth sand and the pure blue water on the left side. From this position, visitors can also see a busy Duong Dong Market that is far and far away. The sunset is the time for squid-catching boats to start working. Dozens of lights twinkling on the sea, making a fanciful scene. Annually, on the big festivals and Lunar New Year, many local people and fishermen band at the temple to pray and burn incense sticks, especially on Dinh Cau festival that takes place at the 15th and 16th day of the October, according to the Lunar calendar. From Duong Dong Town's center, it's simple to walk to Cau temple. Just going to April 30 Street then turning left to Bach Dang Street for around 200 meters and you will reach Cau temple. The view may be even more fascinating after sunset when the lighthouse comes on. Ensure that you take off your footwear when entering the temple. It's a good idea to leave a donation, even a small amount. If you like to learn more about the spiritual and religious life of the locals, Cau temple is a must-visit destination. 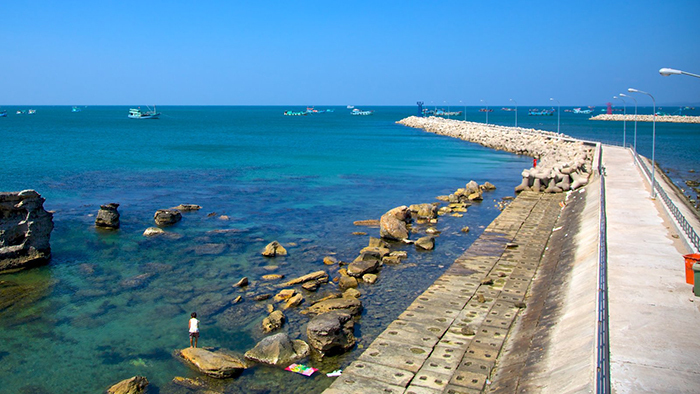 Visiting Cau temple, tourists will take a chance to not only explore the religious practice of the residential but also enjoy the spectacular views on the sea and surroundings. 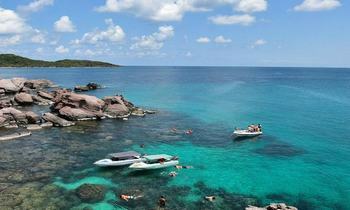 Let’s visit Cau temple and get the marvelous moments.